Would you like to own a mountain bike gold plated, well you can have it at whopping price of $1000,000 approx INR 5,92,80,000. 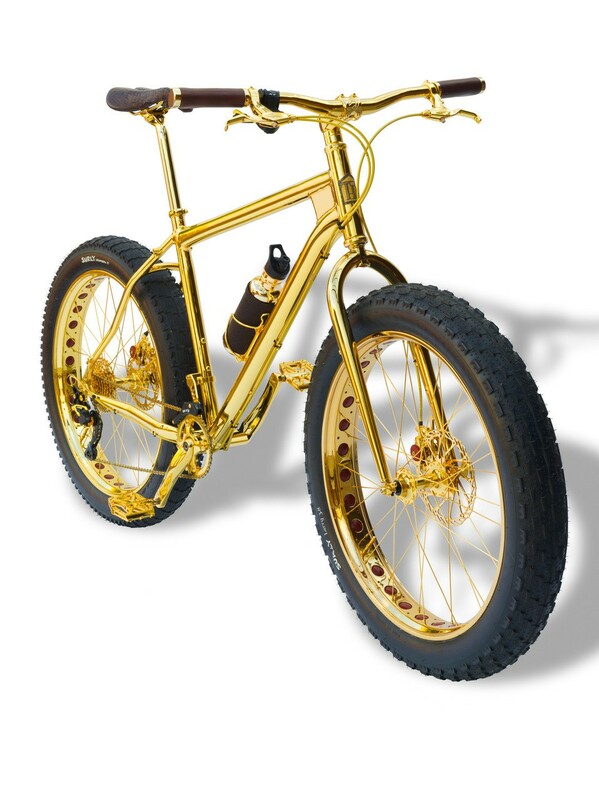 The most expensive Mountain bike named “The Beverly Hills Edition“ sold by The House of Solid Gold(THSG) is a pure 24k gold plated bike. THSG is know for making outrageous objects of art for 3o years. They take normal household stuff and make them luxurious pieces of art. They everything from skateboards, tweezers, baseball, straws, chopsticks,etc. 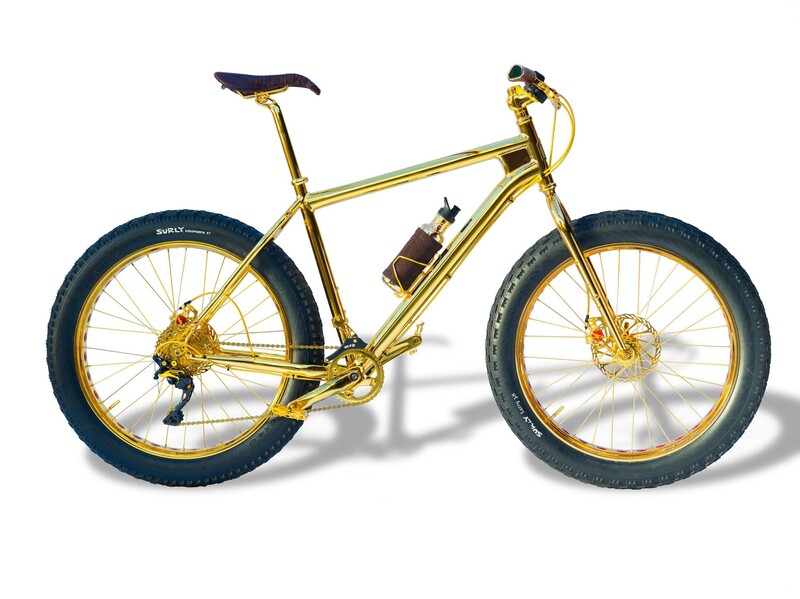 It took over 750 hours to coat each part with the process of electroplating 24k Gold on this mountain bike. However, there only 13 of these bikes that will go on sale. Each of these bikes can be customized and made to the buyers wants and needs. 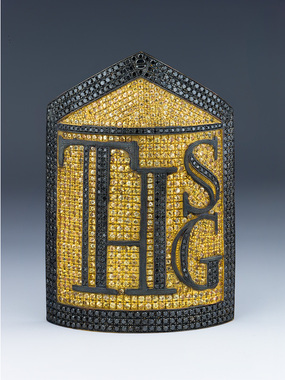 There is an emblem of THSG encrusted with 600 Black diamonds (6.0 carats in total) and 500 Golden Sapphires(4.5 carats in total). 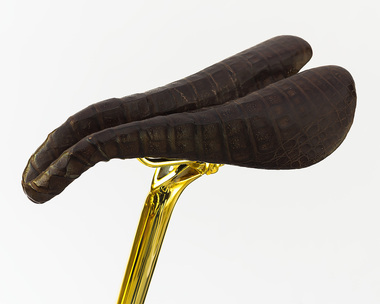 It comes with a one of kind seat that is covered in finest chocolate brown alligator skin and looks absolutely amazing. 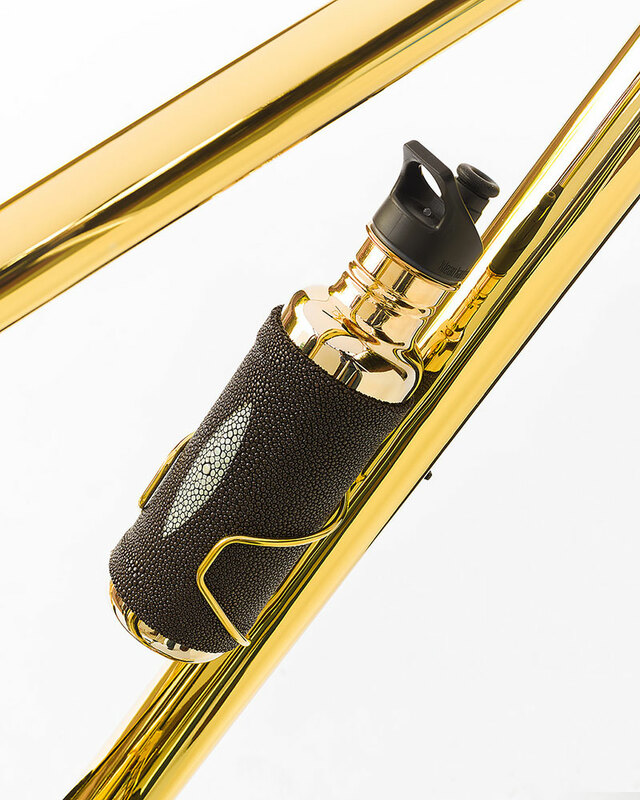 Also has a water bottle covered in gold and accented with chocolate brown stingray. It comes with laser signature of artist, date, no as bike no 1 and certificate of authenticity. Would you dare to ride such an expensive bike or keep it in a showcase and admire it? THSG is offering delivery service worldwide. Currently website says it not currently available, but do hurry before stock lasts. The House of Solid Gold’s CEO, Mr. Power said that 90% of proceeds from sale of this bike will go to “The Way to Happiness Foundation International”, a global non-profit, non-religious charitable organization.